Onkyo SKF-4800 130W 2-Way Bass Reflex Front Speakers. These stylish floor-standing speakers feature twin 6.3” woofers that produce stirring sounds, be it classical scores or rock anthems, and a 1” soft dome tweeter brings out the higher frequency tones with clarity. The speakers’ output offers astonishing details across the spectrum, even at higher volumes. 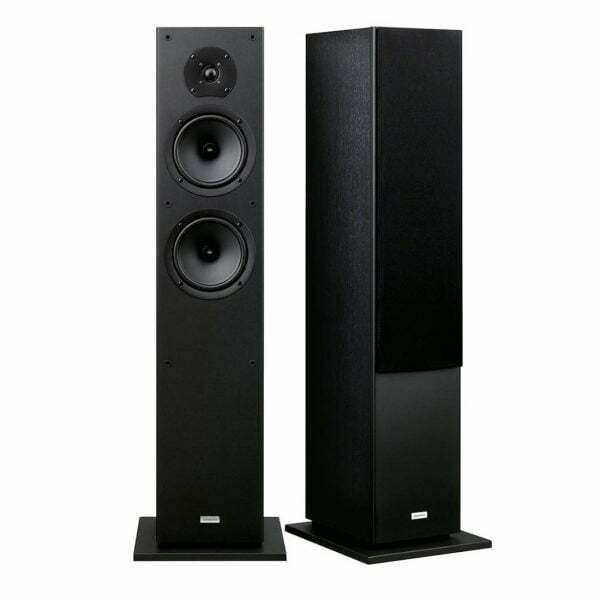 Combine this pair of speakers with the SKS-4800 center/surround speakers (sold separately) to get incredible surround-sound effects for your movies or games. Woofer equalizer enables fast and accurate response.